CATARACT is any opacification of the lens inside the eye. The cloudy lens interfers with the light traveling to the retina making the vision blurry. Cataract typically occur from aging related changes; however, there are many other factors causing the onset of cataract. The risk factors include famiy history, diabetes mellitus, UV exposure, medications like steroids, SSRI, and trauma. Glare- Lights appear too bright or have a "halo"
At this time, there is no known eye drops or vitamins that can cure cataract. As cataract progresses, people become more myopic (near-sighted). If cataract is not yet ready for surgery, then changing glasses may help. If Cataract is visually significant, meaning that it is interfering with your daily activities, then cataract surgery is recommended. The most common way to remove the cataract is by Phacoemulsification and then an artificial intraocular lens is implanted. There is laser-assisted phacoemulsification cataract surgery, but the majority of the surgery is still done by the phacoemulsification method. The laser assists with the wound construction and the breaking up of the lens, but the surgeon still has to go in with the phaco tip to remove the lens and insert the artificial lens. Because the wound is less than 3mm in size, usually zero to one suture is needed. The procedure is done outpatient and usually only under local anesthesia with minimal IV sedation. The procedure takes less than one hour. That means that you are at the outpatient surgery center for only a few hours, and you get to go home. The doctor usually sees you the next day in the office and follows up accordingly. There will be some swelling and inflammation, but many people can even start driving the next day. See the VIDEO below. For denser cataract, an extracapsular cataract extraction with larger wound construction may be required since ultrasound and laser may not be able to break the lens apart. This will take more time to recover and some sutures are required. Cataract surgery techniques have improved so much that this is not often done any more. 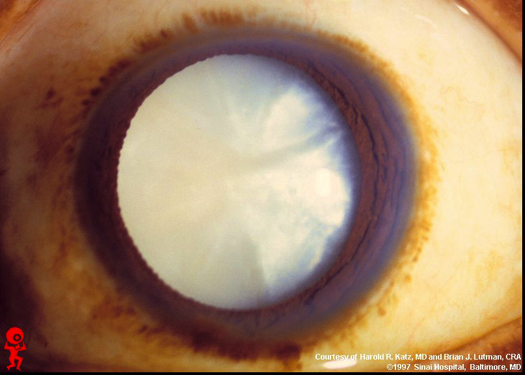 Most people also don't wait until the cataracts are so dense and mature before surgery. There are many options of the artificial intraocular lens that picking the right lens for you require a discussion with your cataract surgeon. At Alta Eye Care, we offer the most advance intraocular lens options.